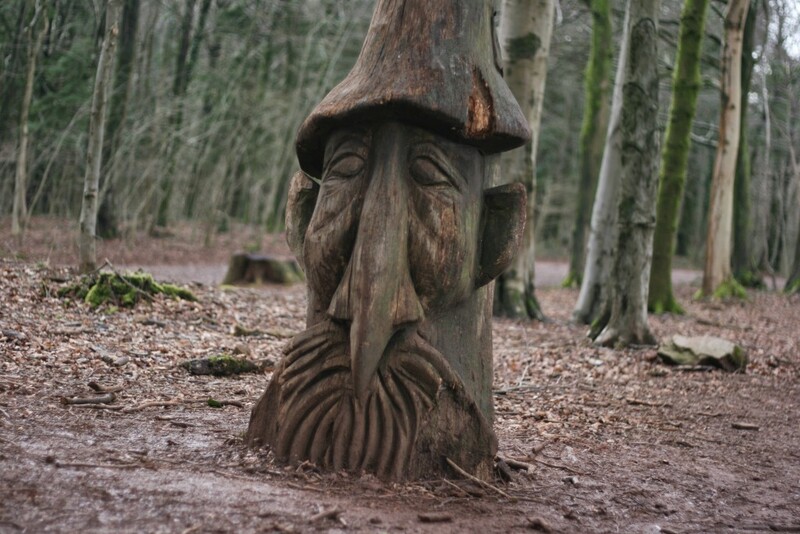 I recently went up to Fforest Fawr on a mission to find all the new sculptures I’d heard about. They’re not all hidden but there are some surprises. 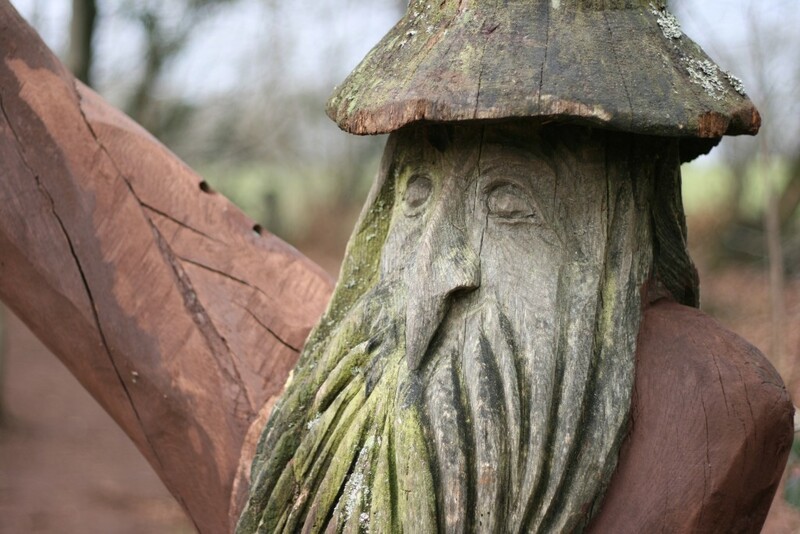 With sturdy shoes and camera in hand I set off to take pictures of all the new additions. The first two were surprisingly easy. 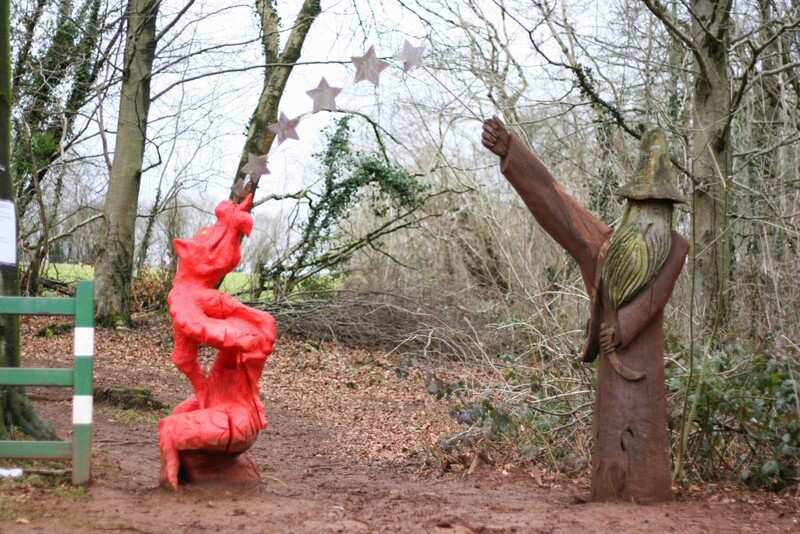 The trail now begins with an elaborate archway comprising a flame red dragon and magical wizard. This was going to be simple! 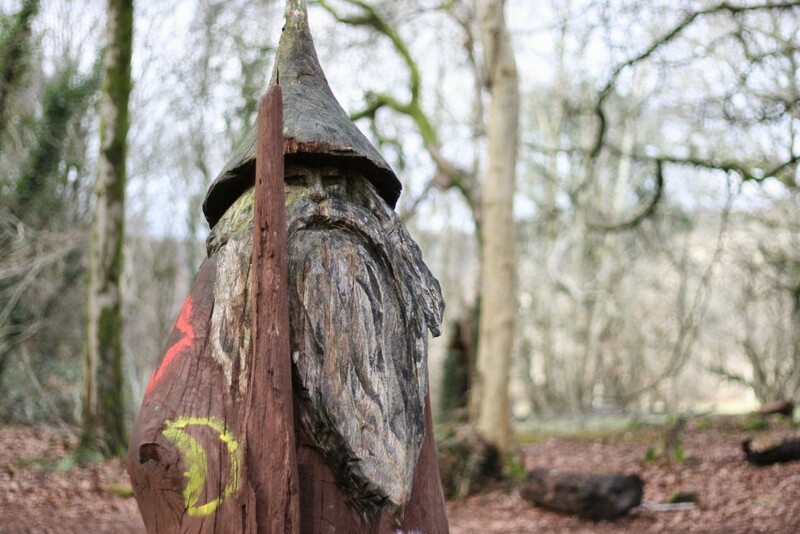 The next sculpture we found was interesting. 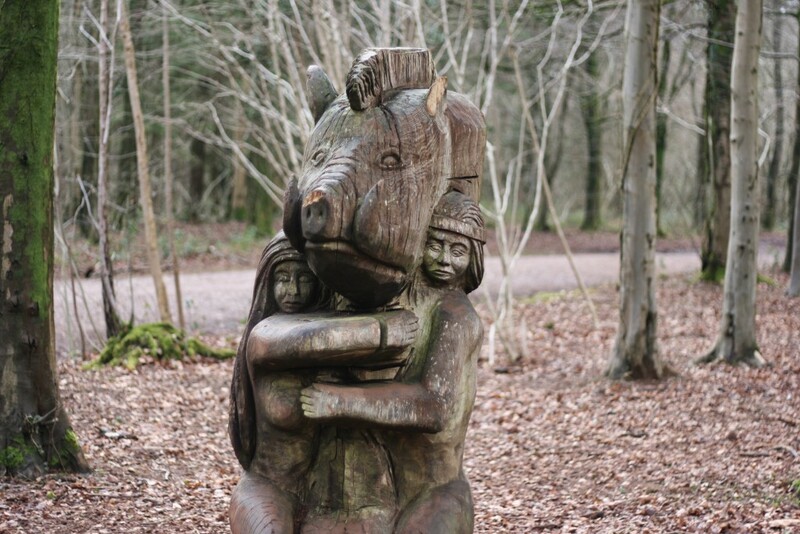 It appears to be a pig with a mohican being cuddled by two people. I’d love to know what this represents. If you have any ideas, please write in. 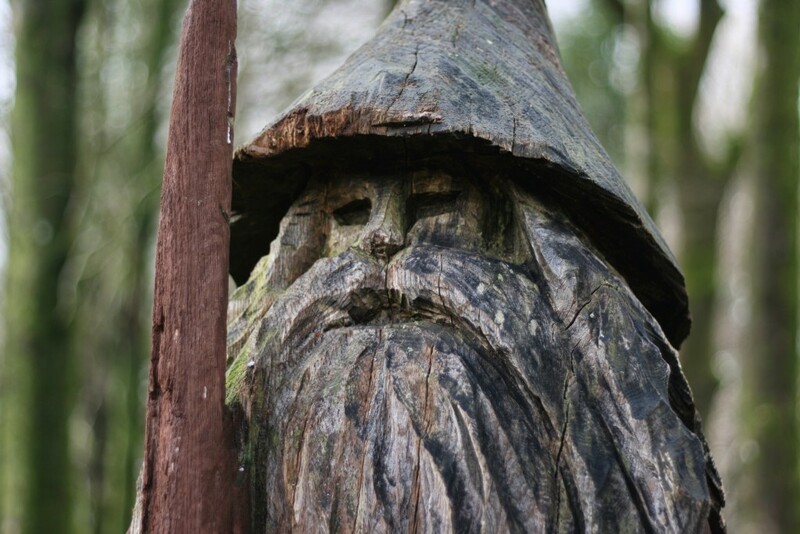 Further through the woods, you’ll easily spot another wizard. This fine gentleman sports some colourful symbols and has a handy cubby-hole for small children to shelter from the elements. With tired and grumpy children in tow, I had to turn around before I found any more. On the way back I did spot a little fellow we missed first time. 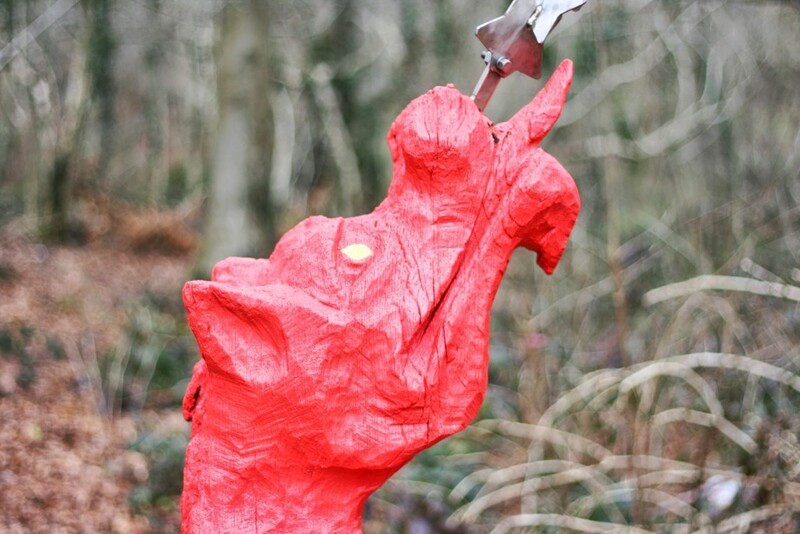 I was fairly confident I’d found all the new sculptures so we headed home for a well earned snack. A few days later though, while out running, I spotted this fearsome beast. It looks like she’s just protecting her little cub. So had I succeeded? 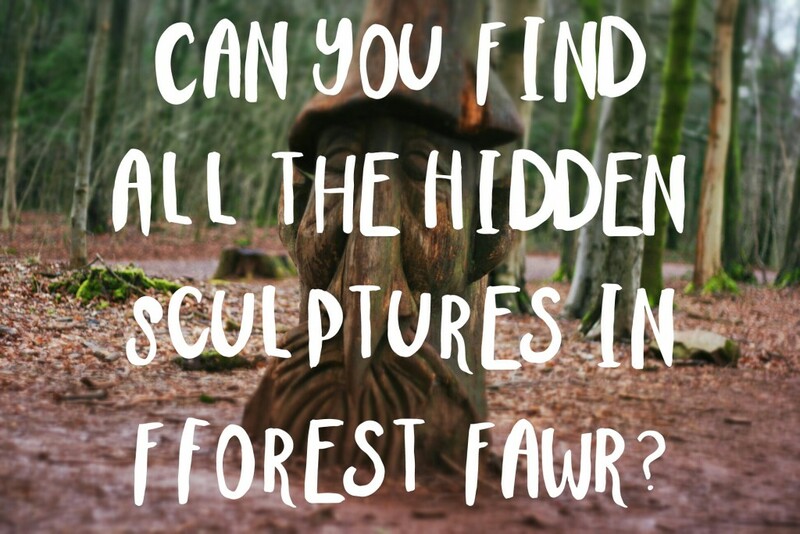 Had I found all the sculptures? Well, no. I went back to an old article I read recently and I’ve missed at least two more. There’s a bird and a clock that I’ve not seen before. Are there any more you know about? 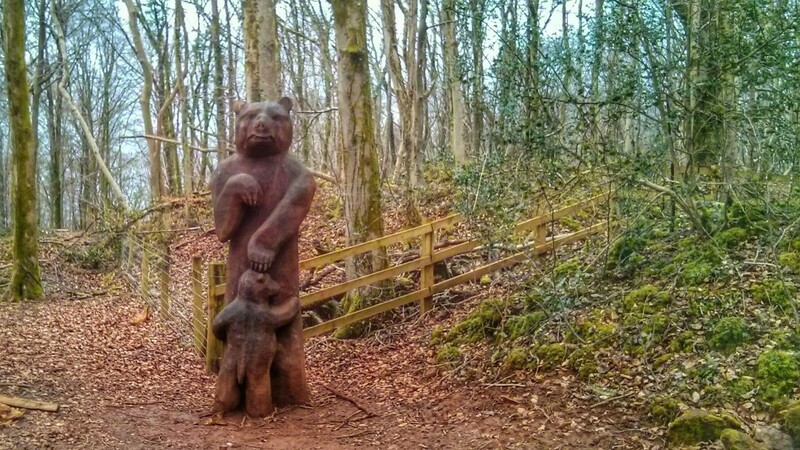 I’m sure most people have been up to the sculpture trail, but if you haven’t it’s a great place to take the kids for a walk. This is the view from the trail. 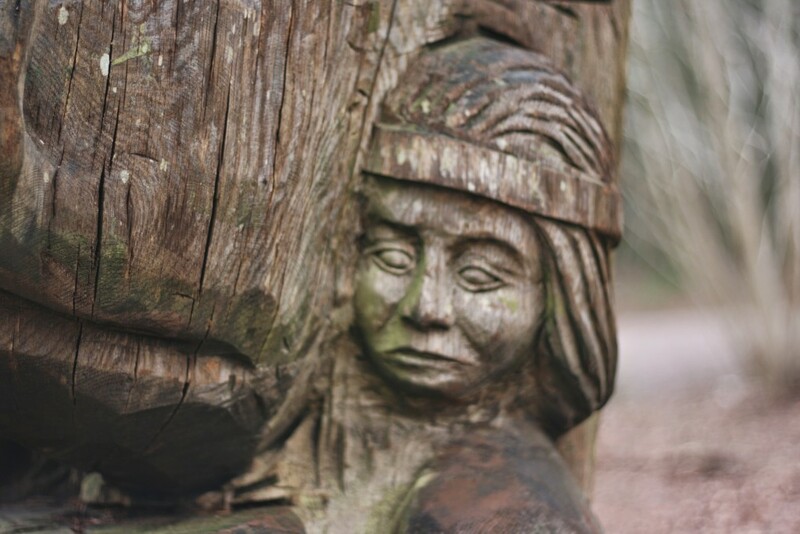 You may also like our previous article, “Discover Fforest Fawr“. 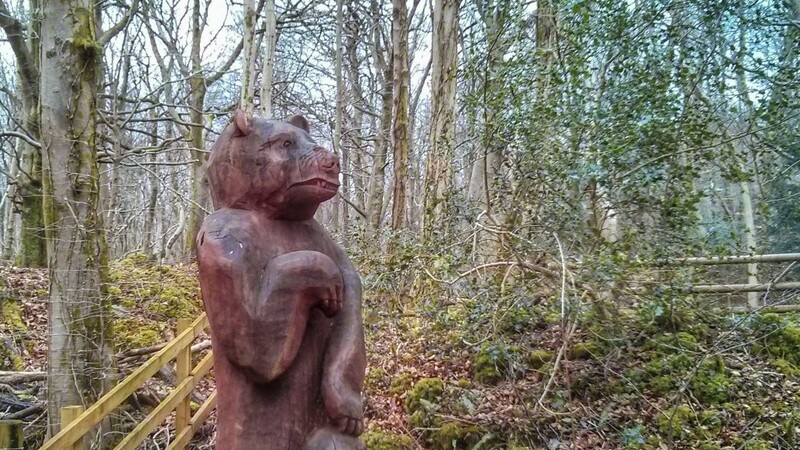 Why have the cherished woodcarvings from Cwmcarn arrived here and arranged now out of context?? 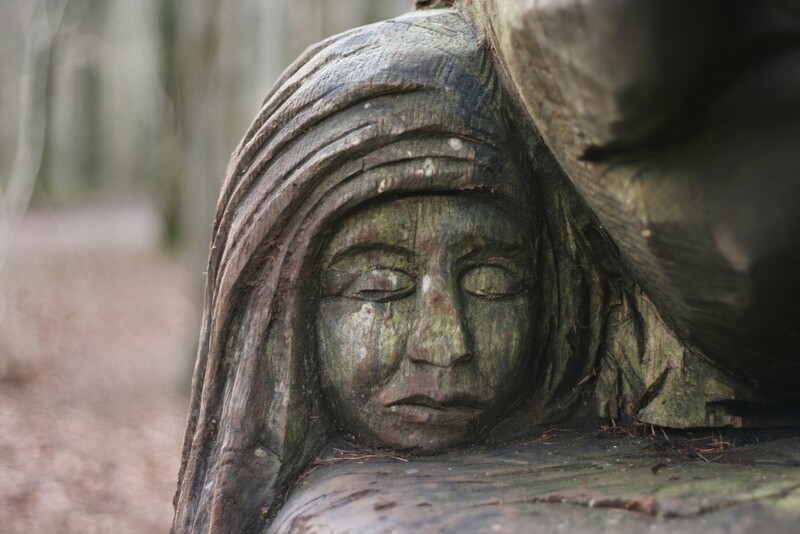 Some of the sculptures were very badly damaged so unnecessarily so.